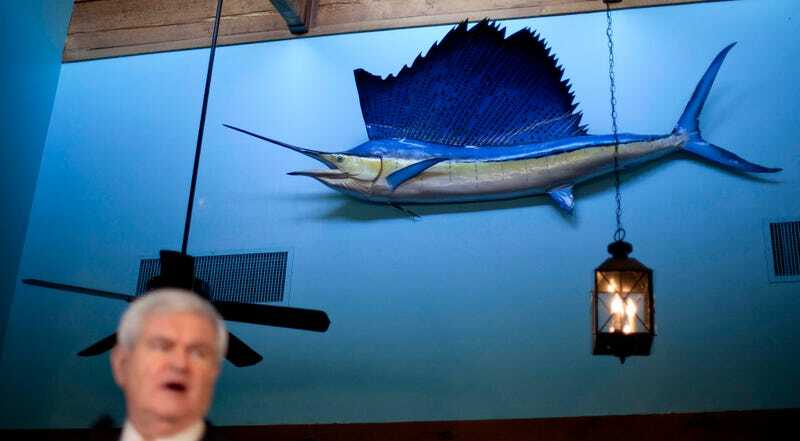 Sailfish, those speedy giant fish you usually see pinned to the wall at your favorite seafood shack, are the most badass fish in the ocean. Not only are they the fastest fish, but they’ve also evolved to be such unpredictable killers that schools of their prey don’t stand a chance. In a study published yesterday in the journal Current Biology, scientists observed sailfishes to see how they hunted, and discovered that individual sailfish preferred hunting with one side of their face. You might think that would increase their attack predictability, since it would give prey a chance to learn the sailfish’s attack patterns. But, it turns out when you get a bunch of sailfish into a group, the combined effect is deadly. That insight came from three years worth of snorkeling trips in Cancun (who says science can’t be fun?) observing dozens of fish. The scientists calculated how frequently each fish attacked with a particular side of its face while slashing at sardines, and how well each fish captured its prey. The more side-dominance a sailfish demonstrated, the better it was at killing—presumably because it developed experience with that side. The fish also showed more tooth wear on one side of their bill, further bolstering the results. Unlike humans who are mostly righties, groups of sailfish don’t show any side dominance, making attacks from larger groups, like those with around ten sailfish, especially unpredictable. As an analogy, think of baseball—a team might prefer to have more left-handed pitchers so its opponents don’t get used to batting against righties. In the ocean, sailfish are like pitchers and their sardine prey are the batters, except the batters are getting literally eaten alive. Baseball fans, I know very little about your sport but this feels right. Anyway, if you’re swimming alone in a dark alley and a gang of sailfish surrounds you, you’re probably toast. Why Are So Few People Left-Handed? Are gorillas left-handed or right-handed?